Ahhh…MAGICAL! 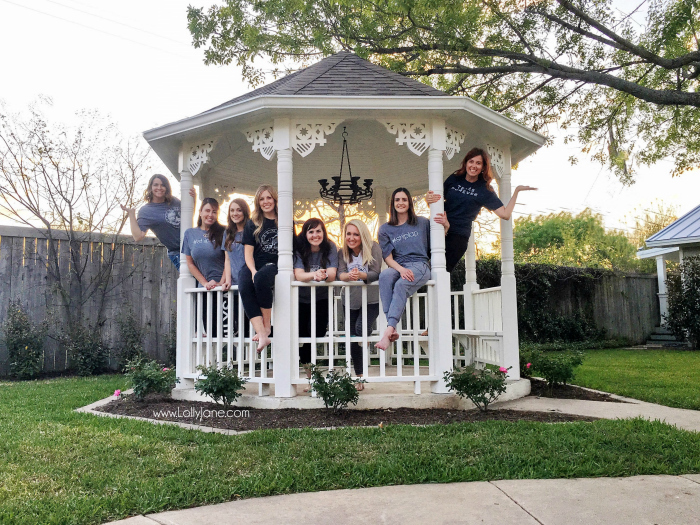 Waco, Texas was simply magical! 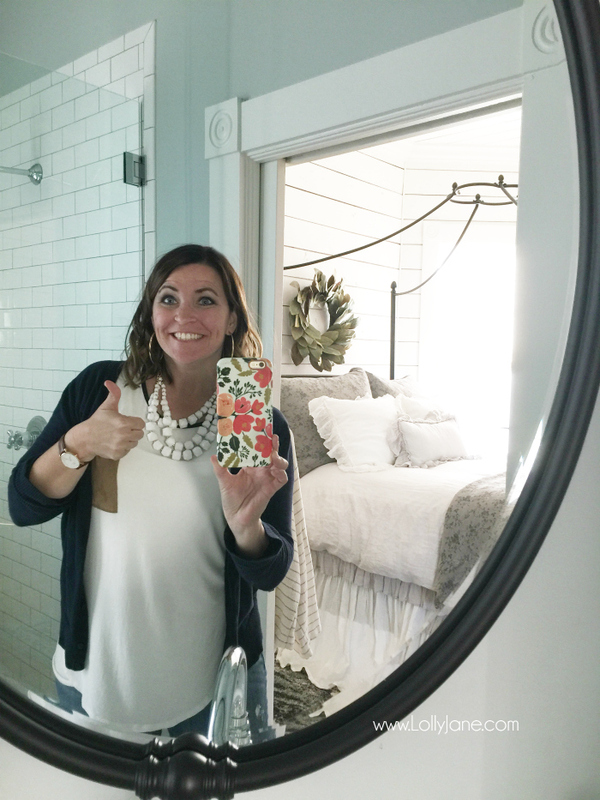 I was invited to stay at The Magnolia House (thanks to Kristyn for organizing it!!!!) + play in Waco, Texas for a quick weekend and I didn’t hesitate to say YES!!! 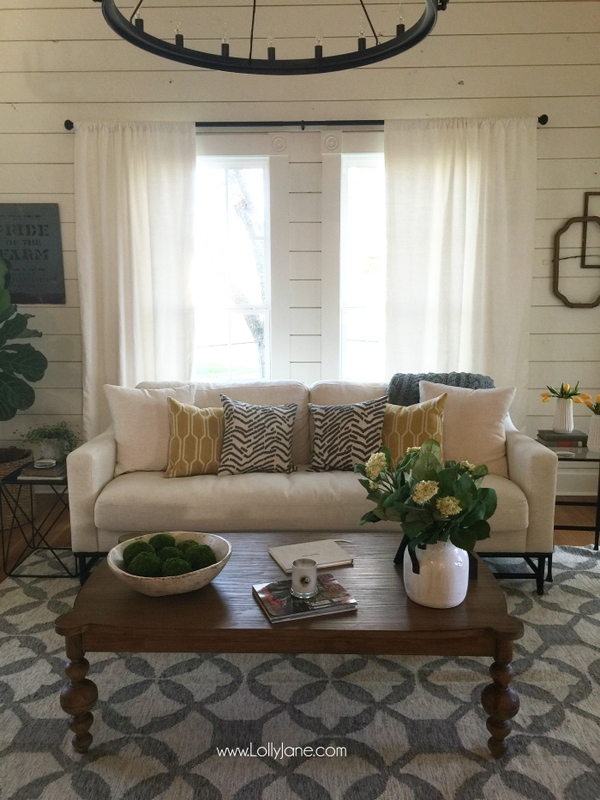 We are HUGE Fixer Upper fans and have been following Joanna’s feed since the beginning, when she had a few thousand followers and we had 50k more than her…now she’s over 2 million strong, way to go, Mrs. Gaines! 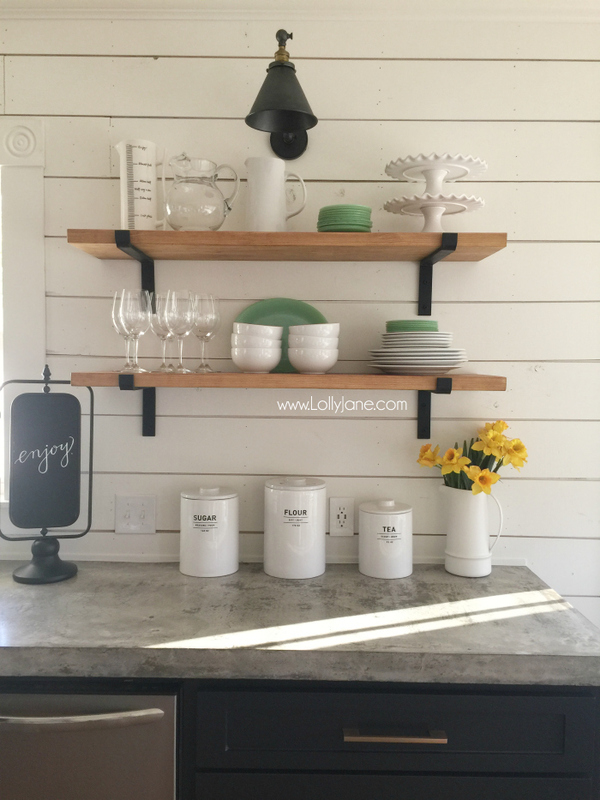 We have truly loved to see her journey with her lovable husband Chip and their 4 kiddos. 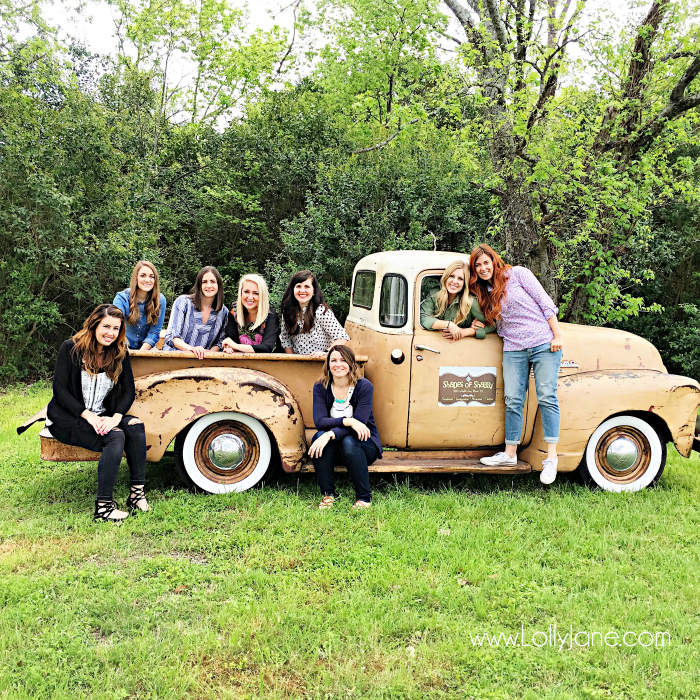 I’ll probably babble a lot as I’m still on a high from the trip although I’m finally finding the time to share my thoughts nearly a month later. Bottom line: two thumbs way up! We flew into Austin on a Thursday evening since it was more affordable. Kristen/Capturing Joy (yes, THREE Kriste(y)n’s!) was kind enough to host us a night at her house so we could get a jump start Friday morning to Waco. 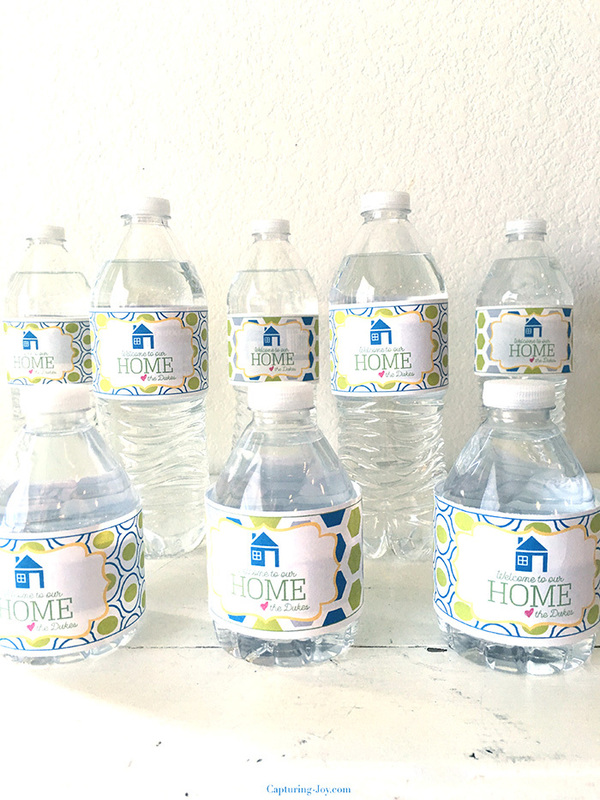 She had adorable water bottle labels just for us, her guest room was super comfortable and her kind husband, Michael, made us scones for breakfast, bright and early. She’s an amazing host, something I need to work on. 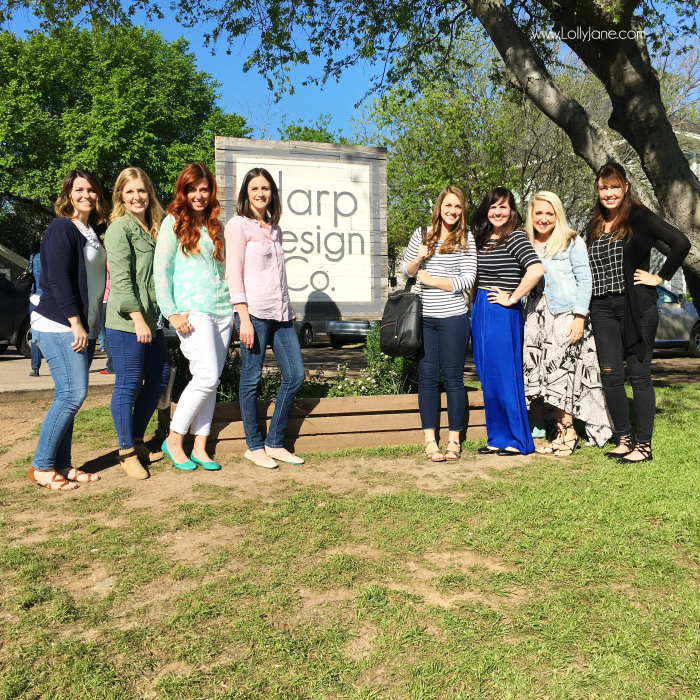 Our first stop of the trip was a personal tour with Clint Harp from Harp Design Co. It was almost surreal to drive down the street then see his shop/house in person!! Ahhh, we were definitely starstruck but Clint and his adorable wife Kelly were so kind and down-to-earth, we immediately felt comfortable. One word to describe this sweet couple? : HUMBLE. 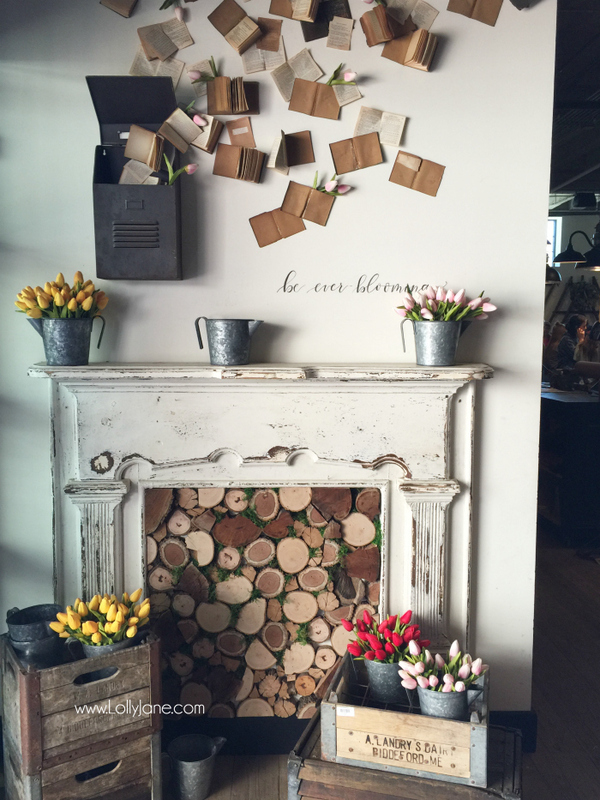 Their small store is so cozy and very quaint. They’re moving from their main house (next door) but will turn the bottom floor into a furniture showroom soon with their business offices upstairs. 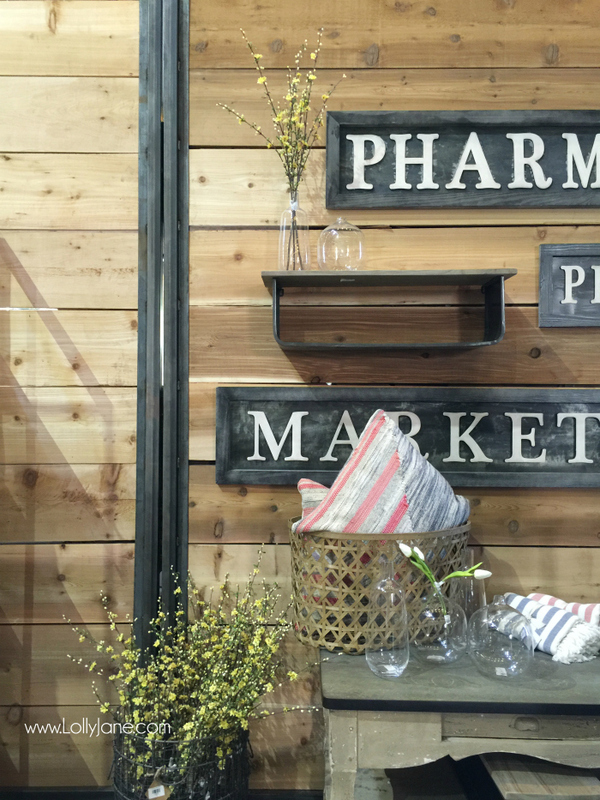 This store started out as a shop but as demand grew, they built the storefront. It’s simply charming. 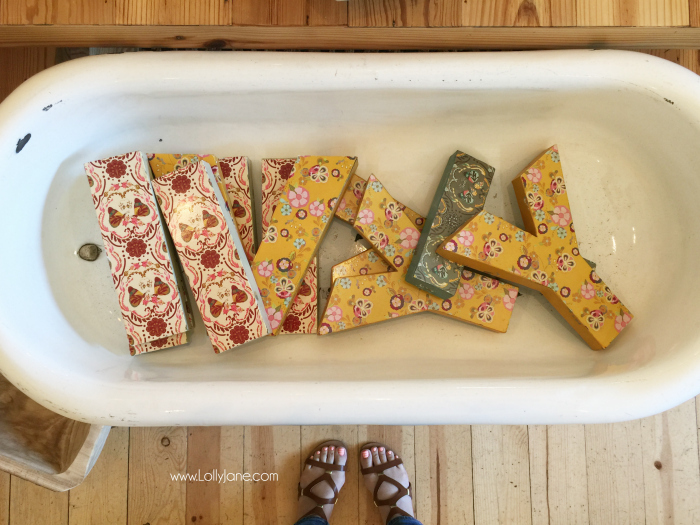 We enjoyed a personal tour of Harp Design Co from Clint himself and love that he sells these handmade blocks he makes himself. 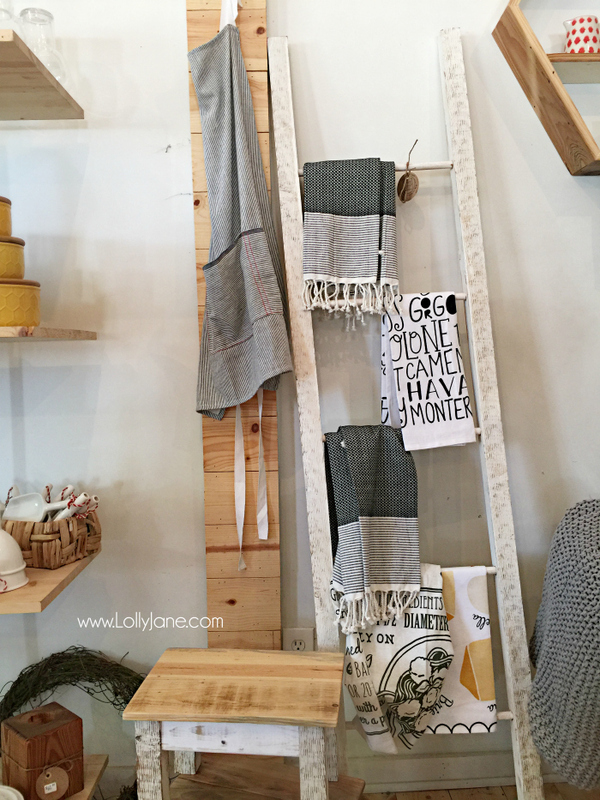 The rest of the store is supplied by local merchants too, super cool. Clint told a neat story about his first table leg (the dark one) he created on a lathe and how at first he didn’t think it would work. Now?-he’s starting his own line of furniture. Always trust your gut. 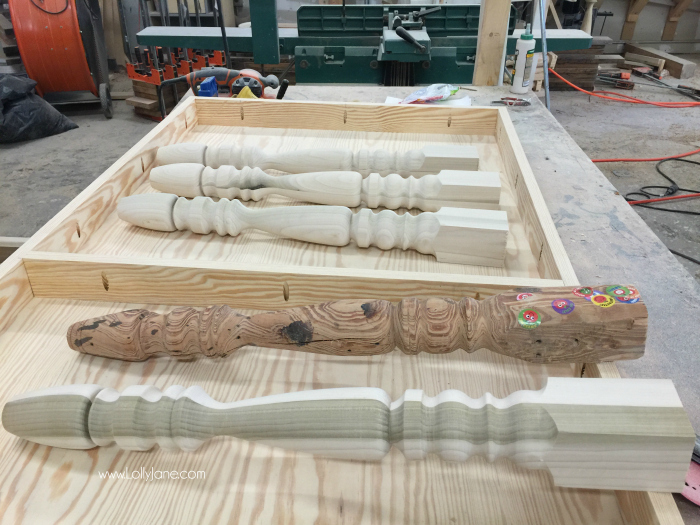 The Harps sell these candlesticks in their store, so fun to see the behind the scenes of Harp Design Co! BIG THANKS to Clint + Kelly for sharing their story and for the amazing tour. Excited to see their achievements in the future and can’t wait for their new show! 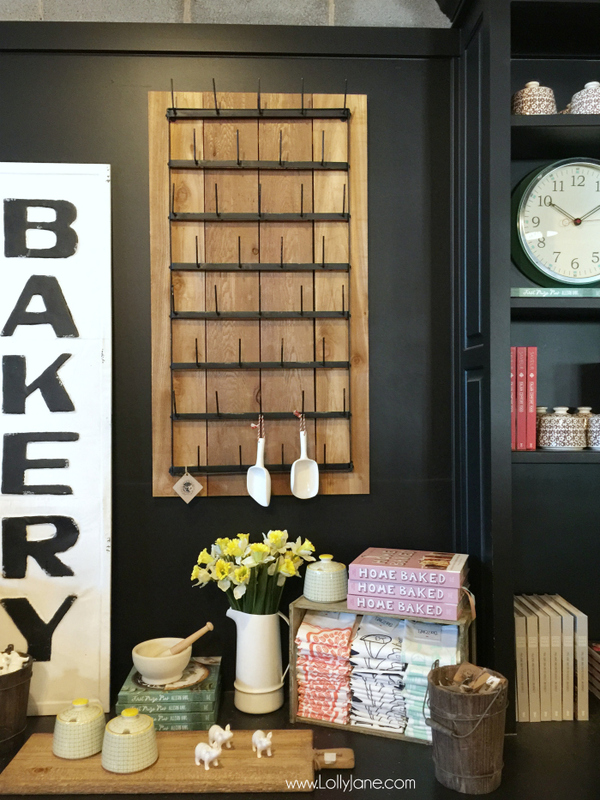 Here are a few things to know before shopping at The Magnolia Store. 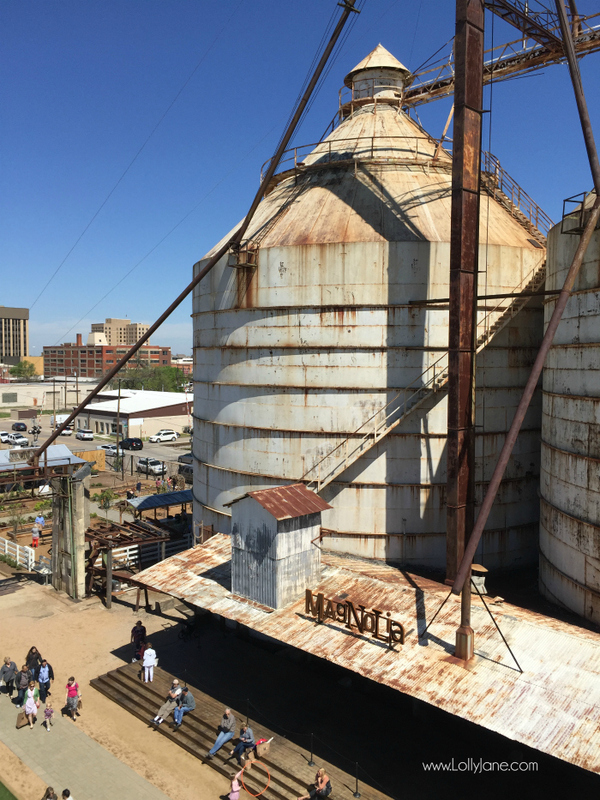 First of all, I was really surprised to see how close the store was to the silos! A very happy surprise! It’s a like a freaking compound walking up to the whole scene, a compound I’d love to move into! All in one spot you’ve got the new Magnolia Flour bakery (it was under construction when we went but we got to peek in the windows), the Silos (not open, we got to stick our heads in and see piles of old wood, swoon! 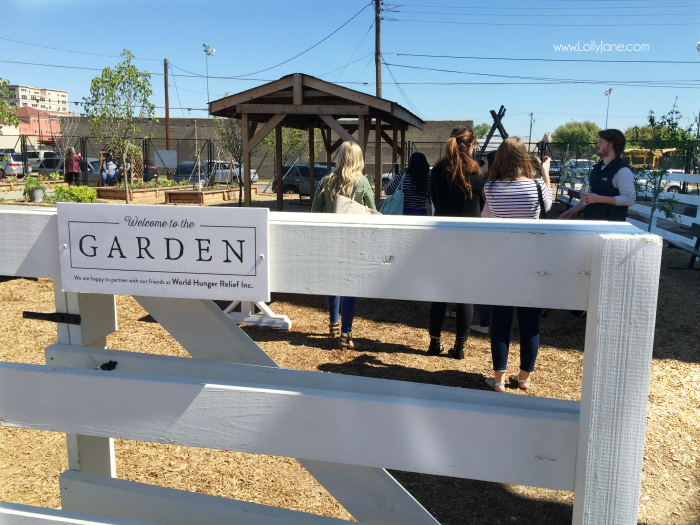 ), the Magnolia Store, a huge play area for the kids, LOTS of food trucks, picnic tables, a garden, goats (yay!) plus baby goats (awwww!). Our kind tour guide, Brock, took us on a personal tour of the whole “compound”. 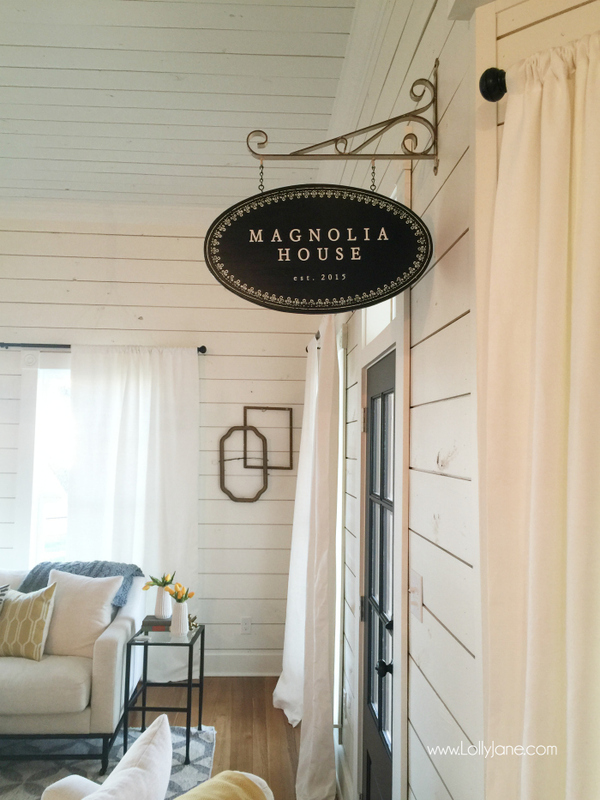 We loved to get a sneak peek into the new Magnolia Garden House (it was under construction, there was a gal dry brushing the shiplap walls, dreamy!). 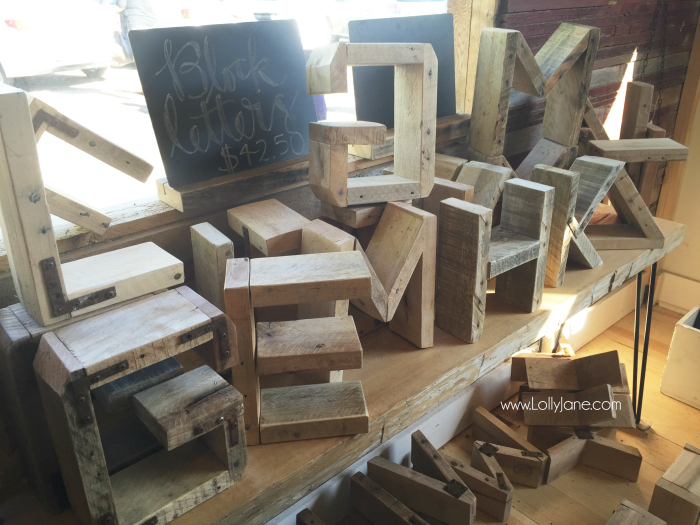 We left a wood cactus for our readers just for fun, it was cute to watch the winner find it! 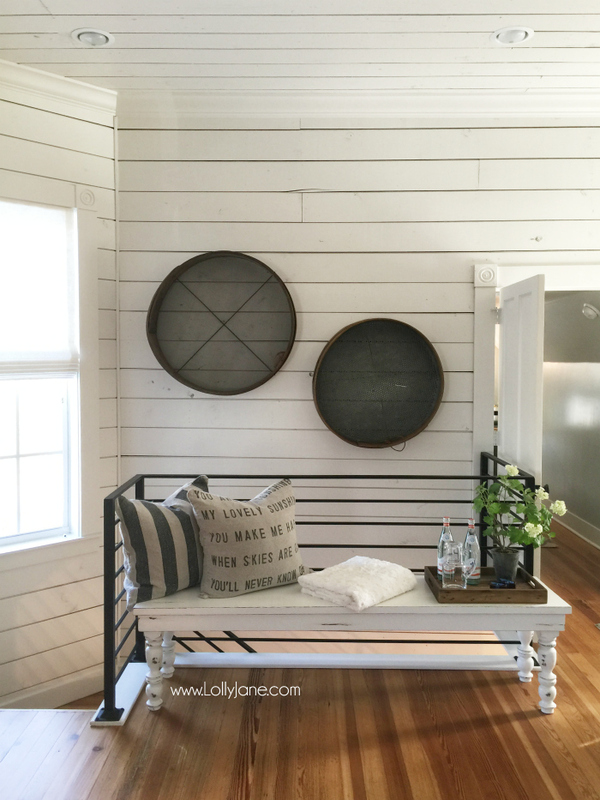 Such a pretty front porch, right? 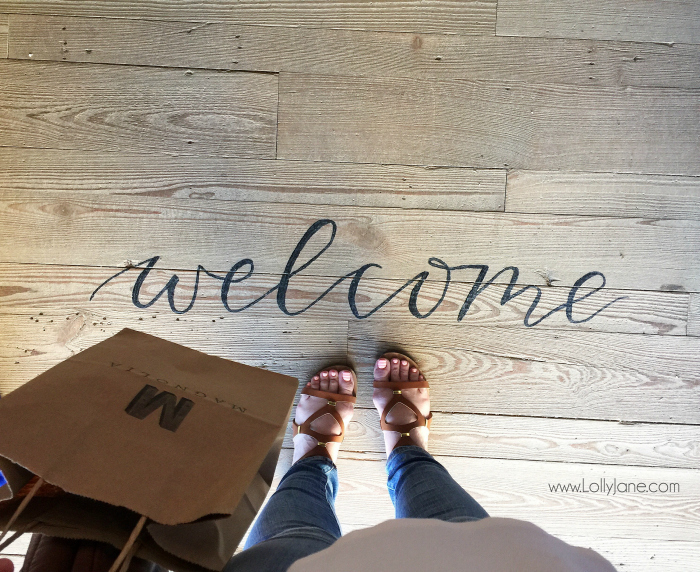 Secondly, as you walk into the store, you need to get an iconic feet shot of the WELCOME painted onto the floor. Third, don’t be surprised by the lack of original goods for sale. 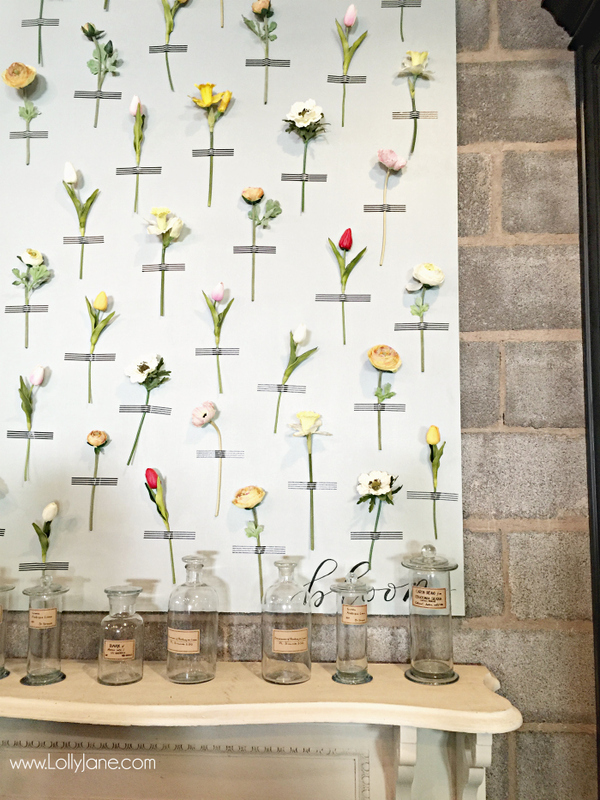 You can find most of the decor in boutiques in your own town, but you’ll pay more at Magnolia. But the good news is, you can buy Jim’s works of art right off the wall and a plethora of comfy Magnolia tees and hats. I couldn’t find a super affordable souvenir that was original to Mag Store for my sisters so I settled on some pretty Magnolia tea towels. But honestly, even leaving empty handed for myself, it was SO FUN being there!! 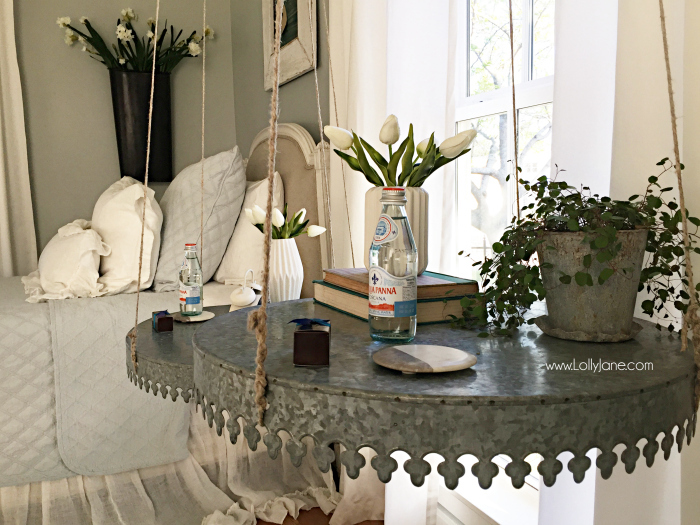 Lots of pretty inspiration all around. 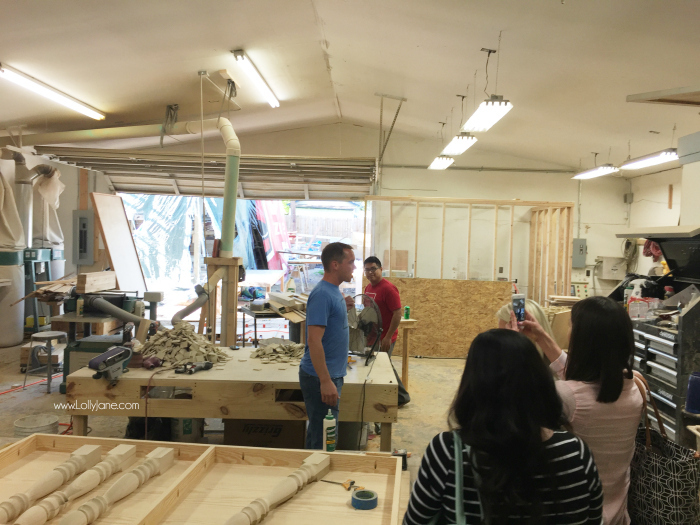 Brock took us on a tour of the whole shop. Here is a shot of the lovely madness all around from the upper level, it was such a fun vibe being there! My favorite part of the tour was Joanna’s conference room. Simple yet stunning. 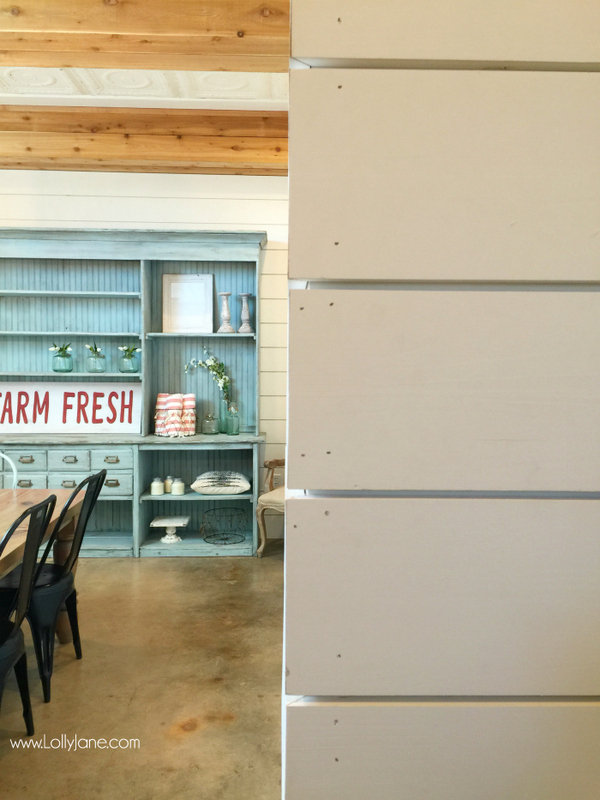 Brock told us before Fixer Upper, their shiplap supplier sold 30 sheets in 30 years…and now he can’t keep it in stock!! 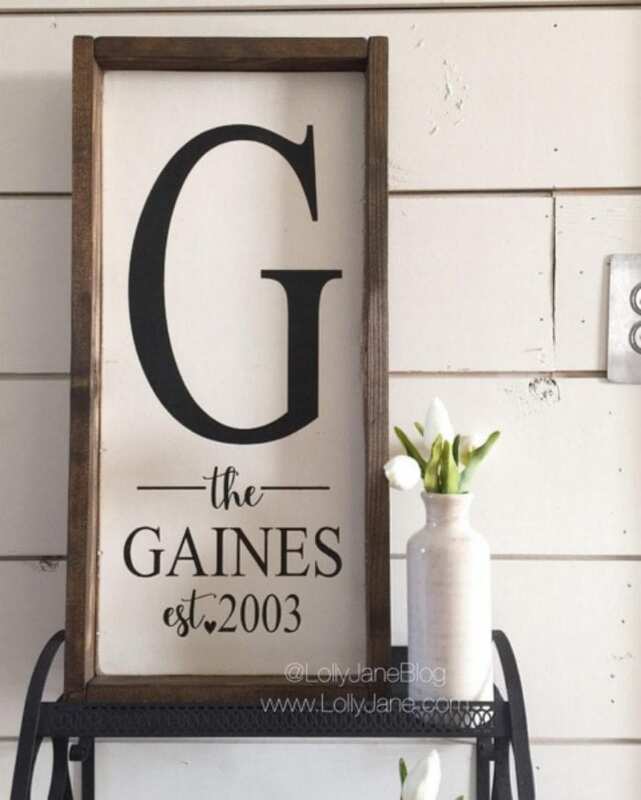 Way to go, Gaines! 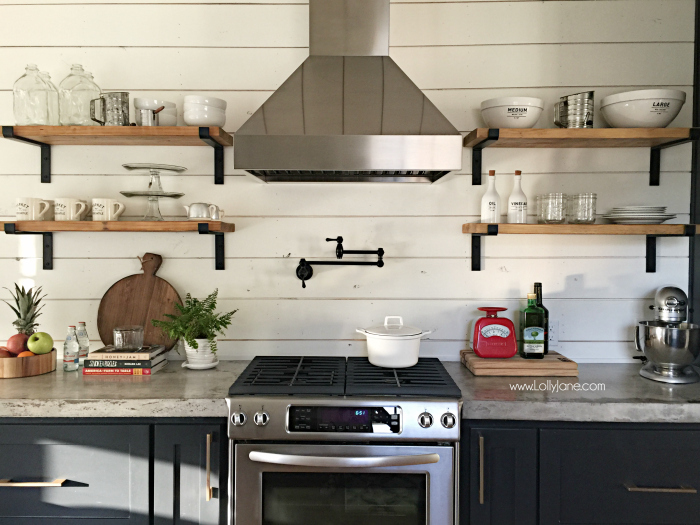 !-start of a major change for homes across the country! Holy AMAZING house!! 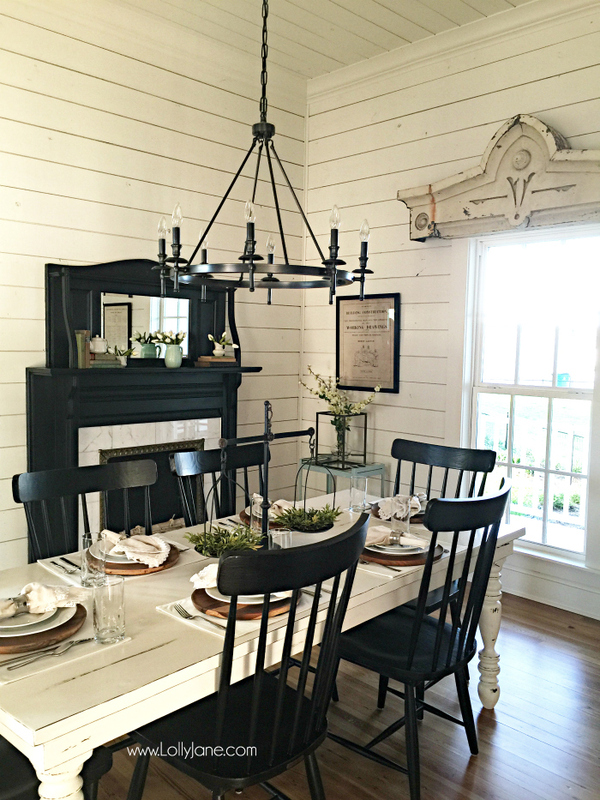 The Magnolia House is truly gorgeous. Every single detail was accounted for. 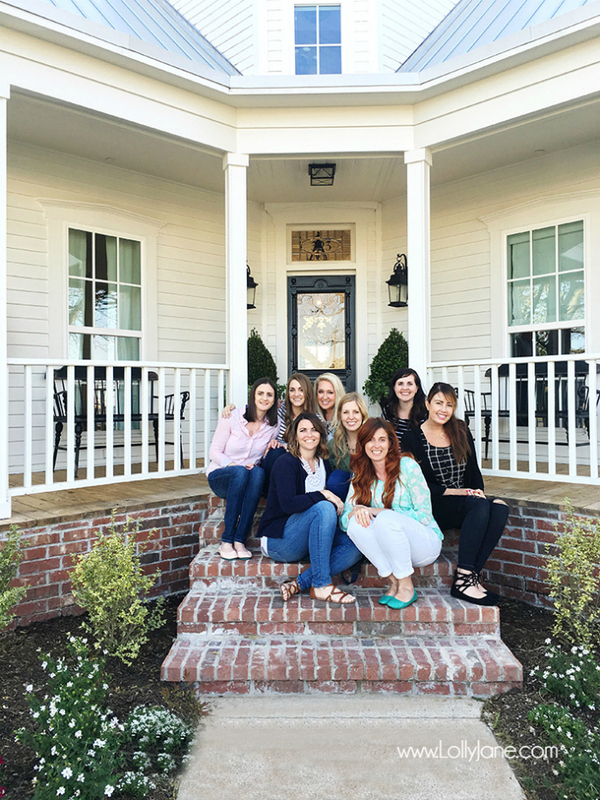 It was the perfect girls weekend getaway house. There are 6 beds but it sleeps 8 comfortably. 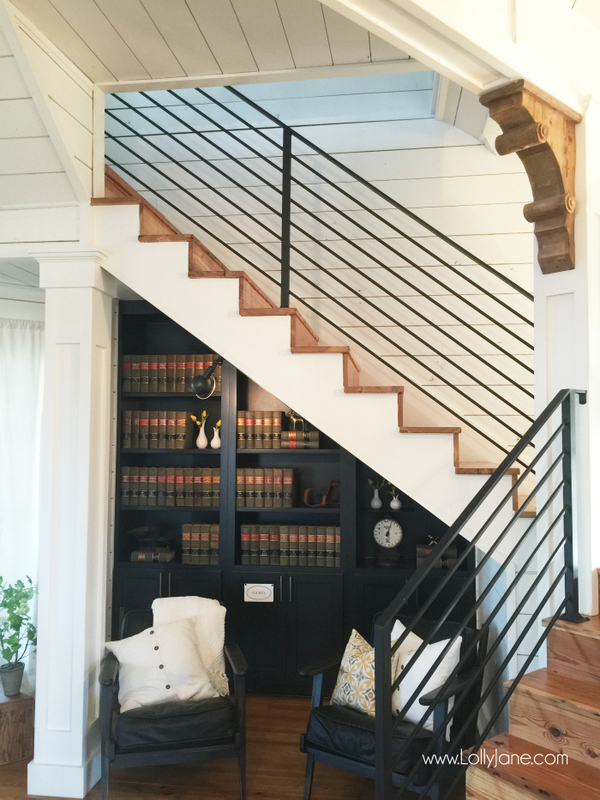 You walk into a fully shiplapped family room, the stairs are to the left and the dining room and kitchen are straight ahead. So so pretty. 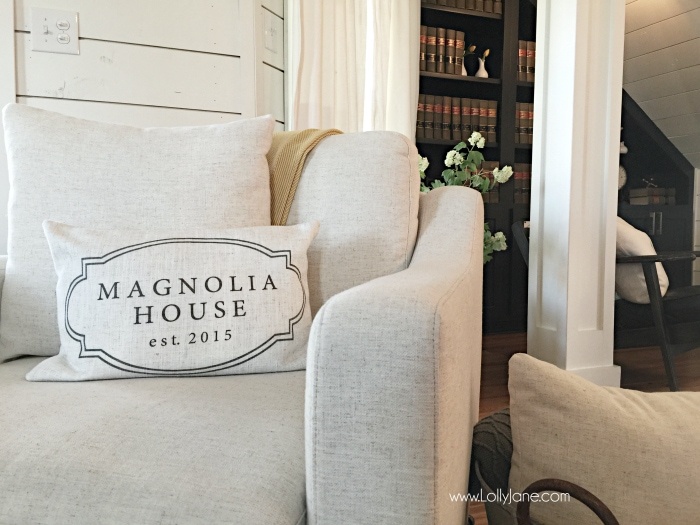 The charming Magnolia House est 2015 sign hangs in the family room, front and center. 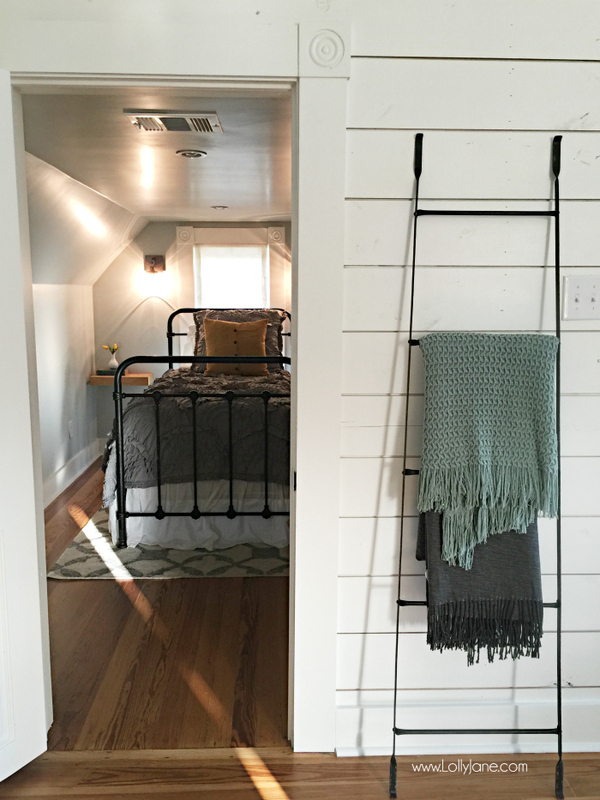 Here is one of the two downstairs bedrooms. 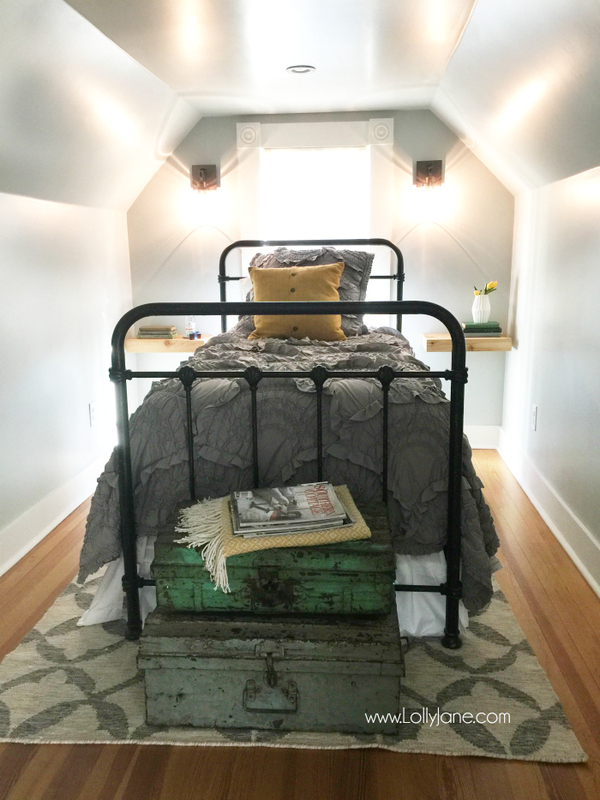 This one is so cute with the hanging nightstands and two twin size beds. 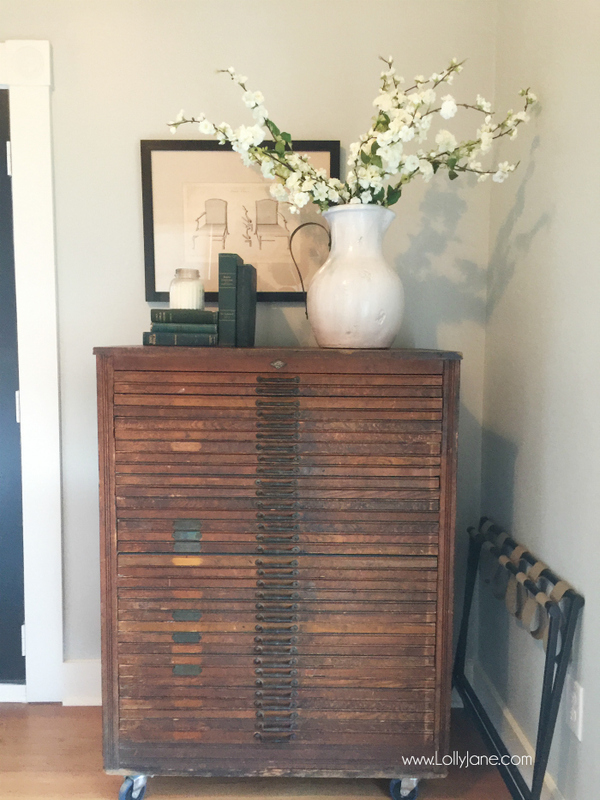 The second bedroom has a queen size bed, I love this dresser! 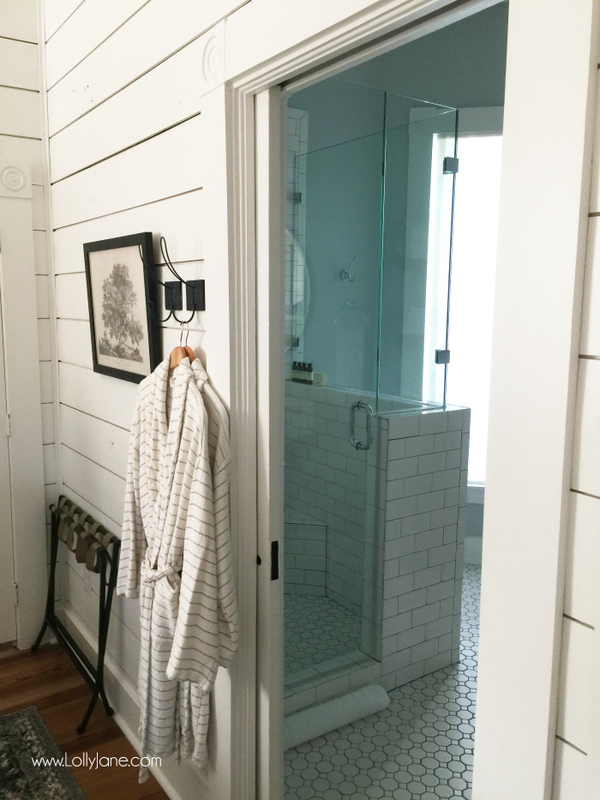 The downstairs bathroom was my favorite. 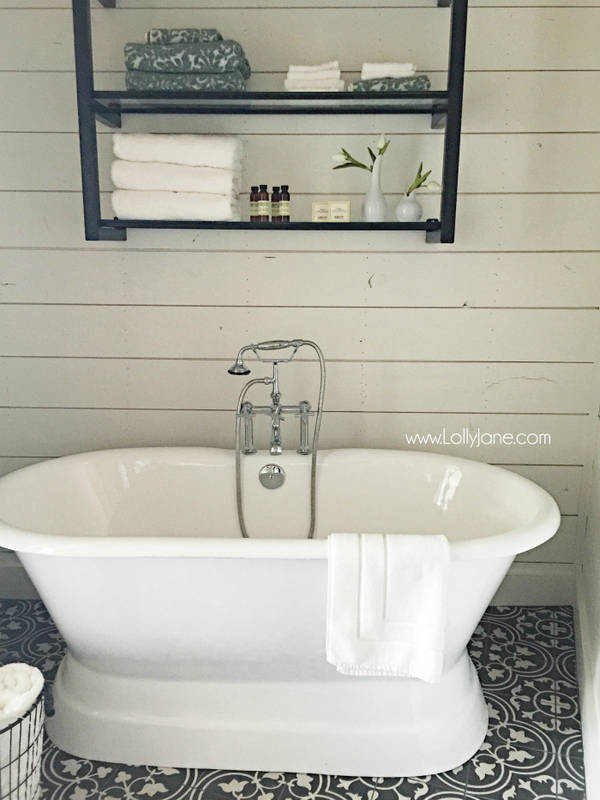 The black and white floors were so pretty and that tub welcomed you to a good soak! 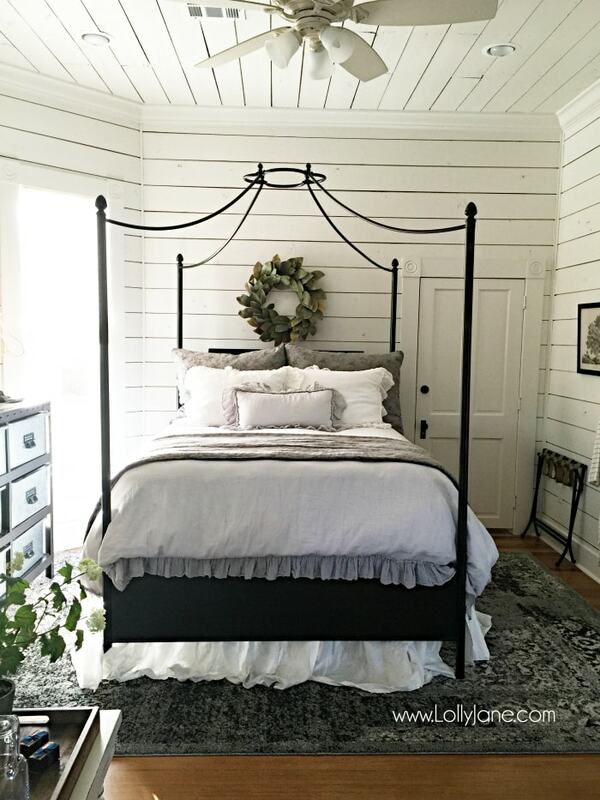 Upstairs, you’re welcomed by this gorgeous bed and luxurious bedding. I slept in this bed and seeeeriously, it was so comfortable! 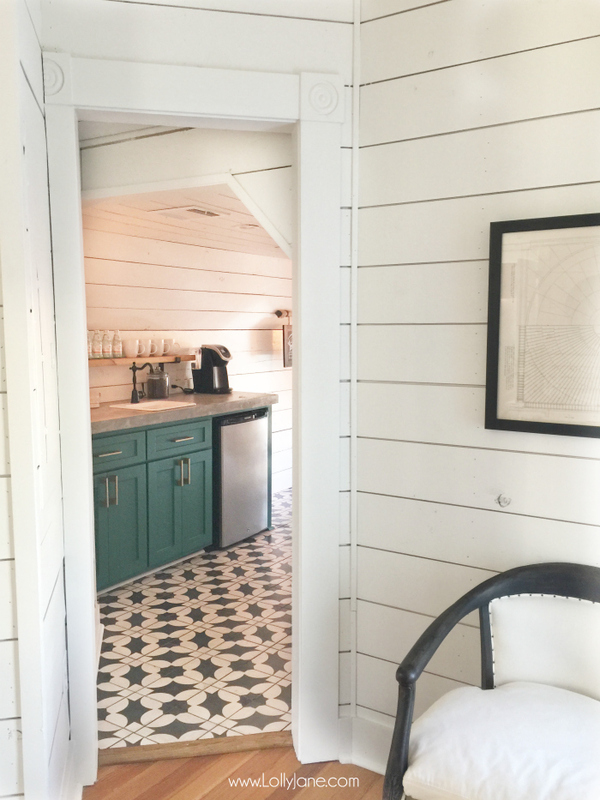 There are two twin beds off this loft style room with 1 bathroom and another small room turned into a coffee bar kitchenette. 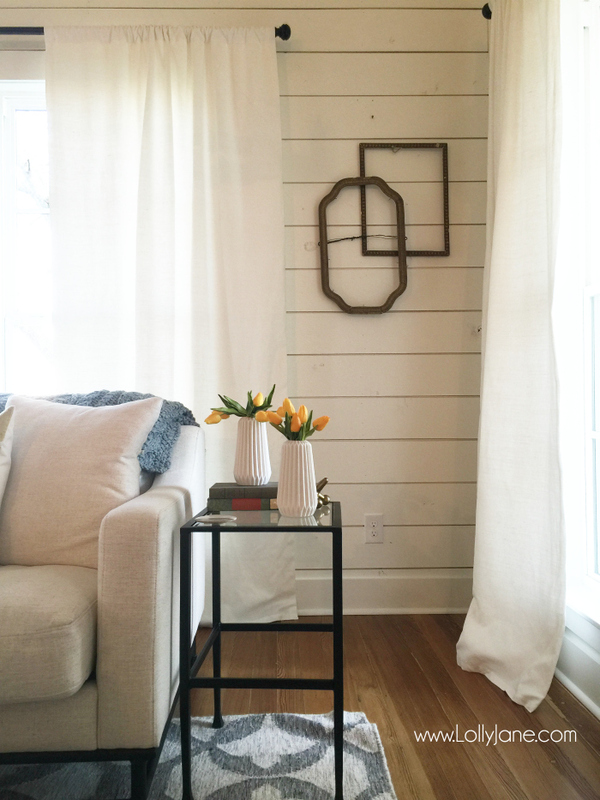 I left a custom sign as a little gift for the Gaines for being such a light in our country’s lives! You can buy your own family sign here. 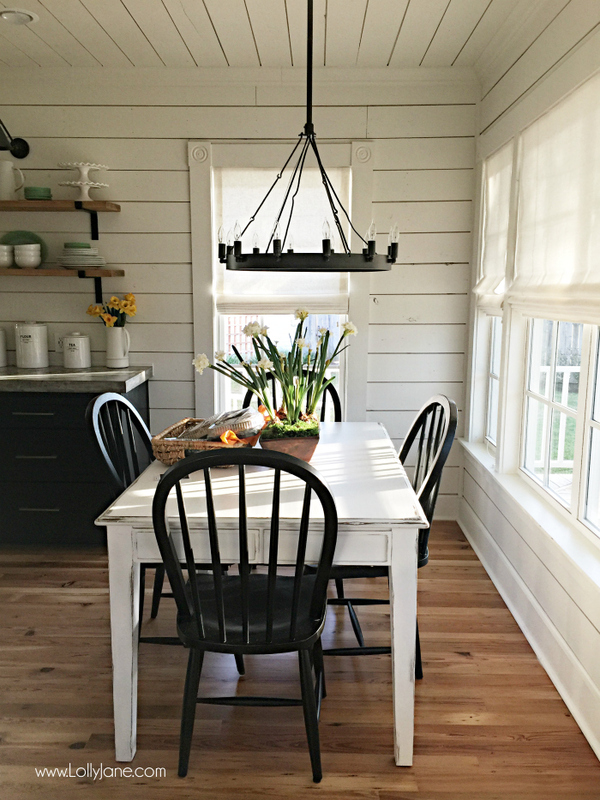 Back downstairs, head straight through the dining room into the gorgeous kitchen. There’s a good size laundry room with a desk too. 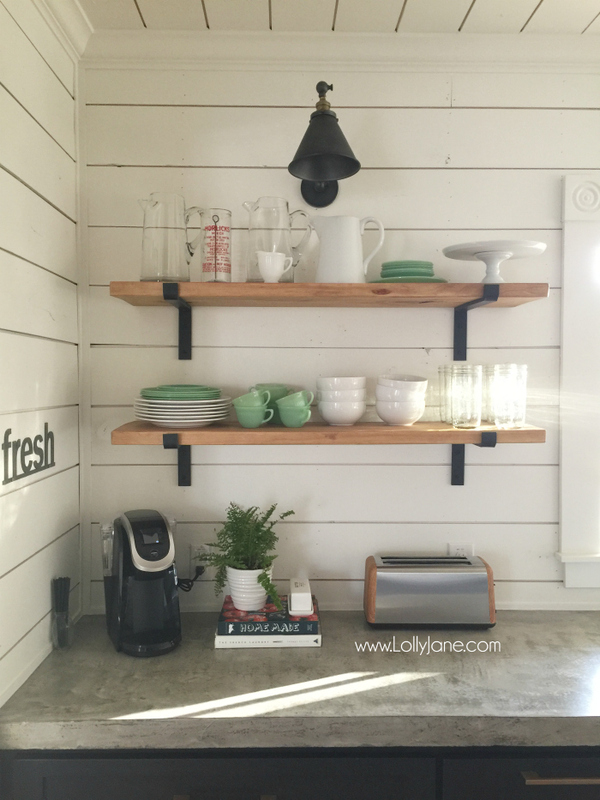 Tidy and smart space planning. 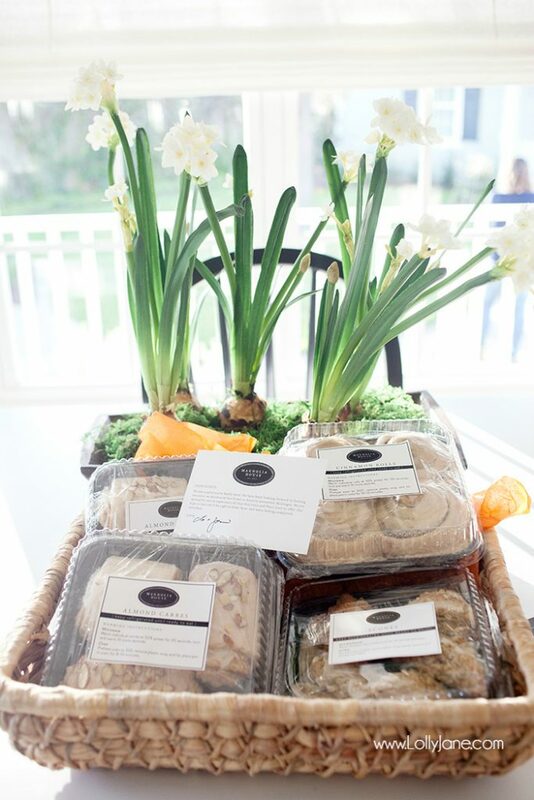 Saturday morning we woke up to these yummy sweet rolls courtesy of Chip + Jo! There were also 8 mason jars full of fresh fruit along with water and chocolates in each bedroom. Lovely little touches! We didn’t want to bother the sweet caretakers to ask for a tour but the outside of the carriage house, as it’s their main residence, but is too darn cute in person. 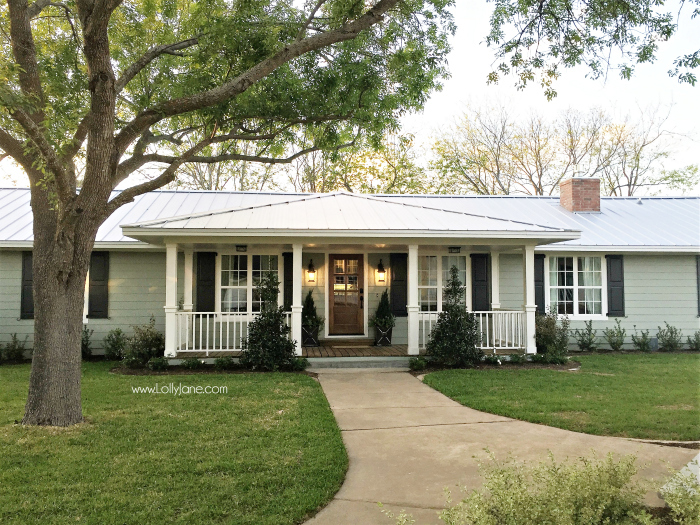 You can see the details in and out on Season 4 of Fixer Upper. So pretty, of course. 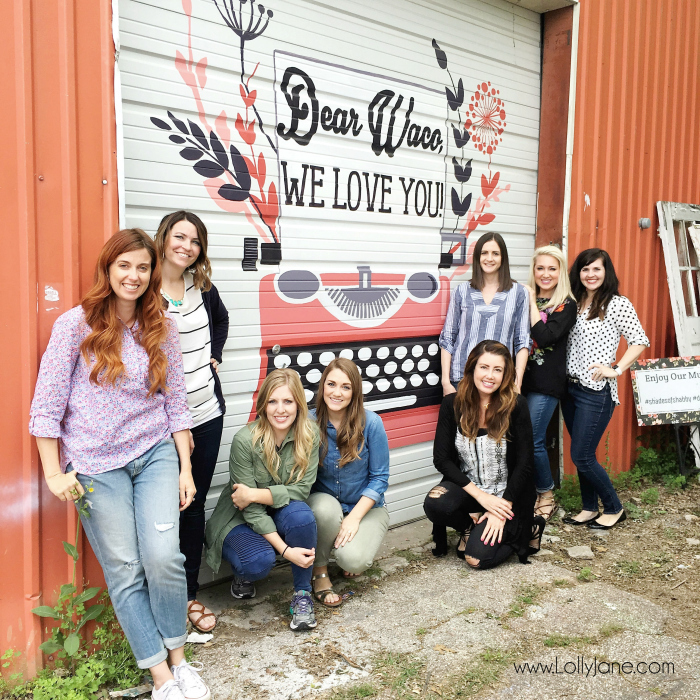 Due to our short time in Waco, we heavily researched the must shop places in Texas. 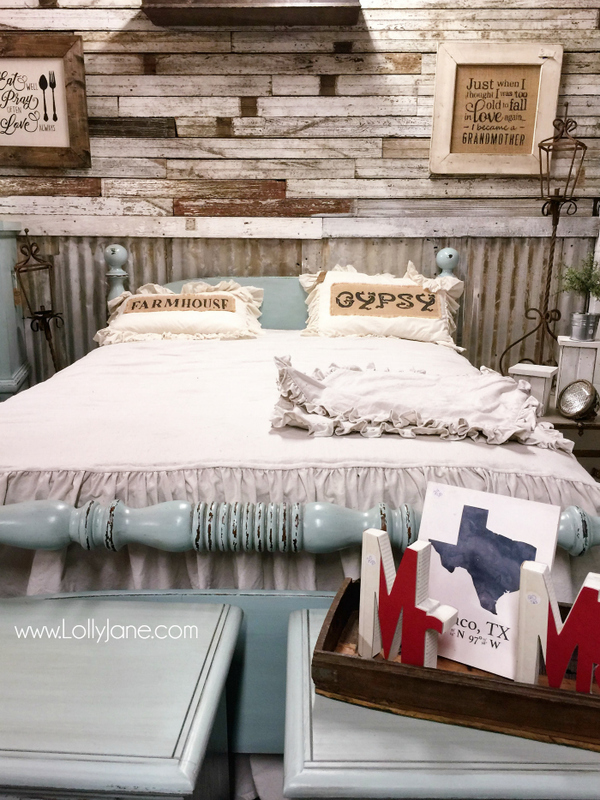 We probably hit up 12 stores and my top 2 faves were Junque in the Trunk and Shades of Shabby. 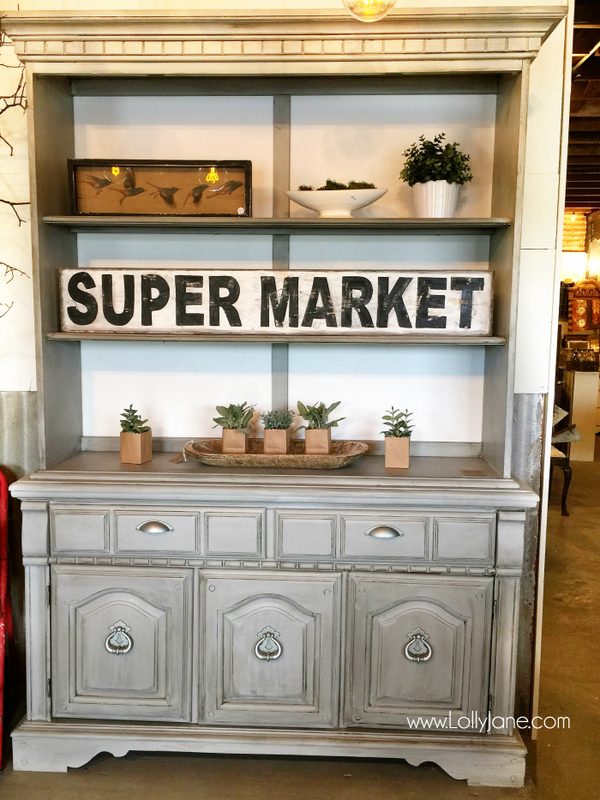 I would skip Spice Village altogether if you’re like me and were on the hunt for JUNK and true vintage finds. 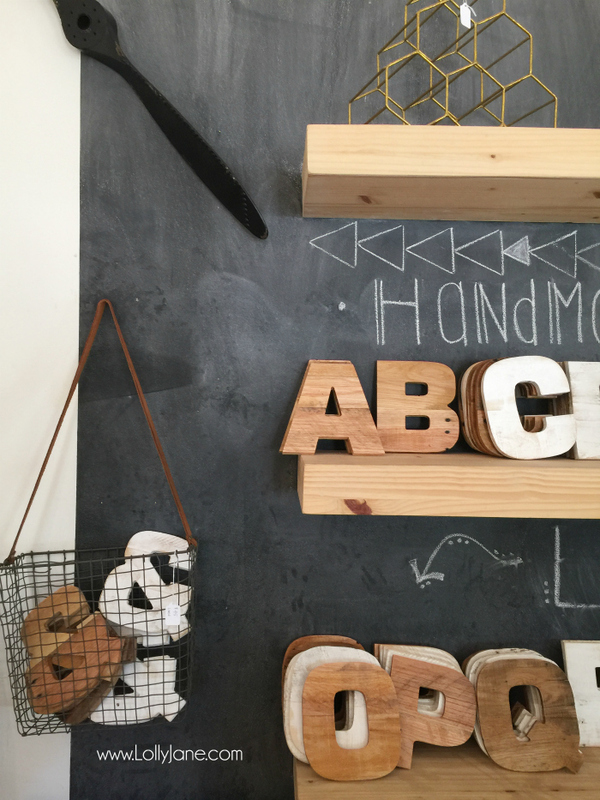 Spice is newer, trendier, boutique style so if that’s your thing, you’ll love it! We walked in and right out, just our preference. This first pic is taken between Shades of Shabby + Junque in the Trunk which are conveniently located next door to each other. 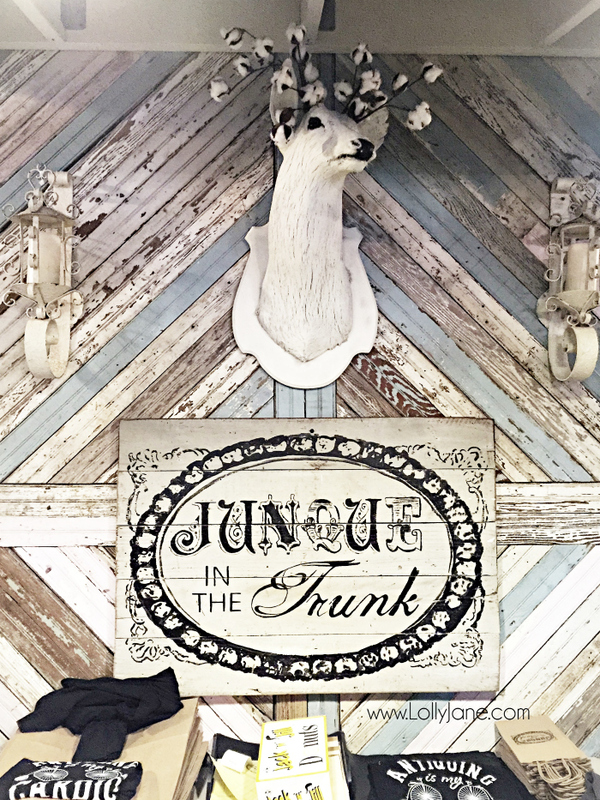 We met and chatted with the owner, Emily, of Junque in the Trunk. She was so darn sweet and I just know we’d be best friends if we lived in Texas, lol! She was so genuine and easy to chat with. 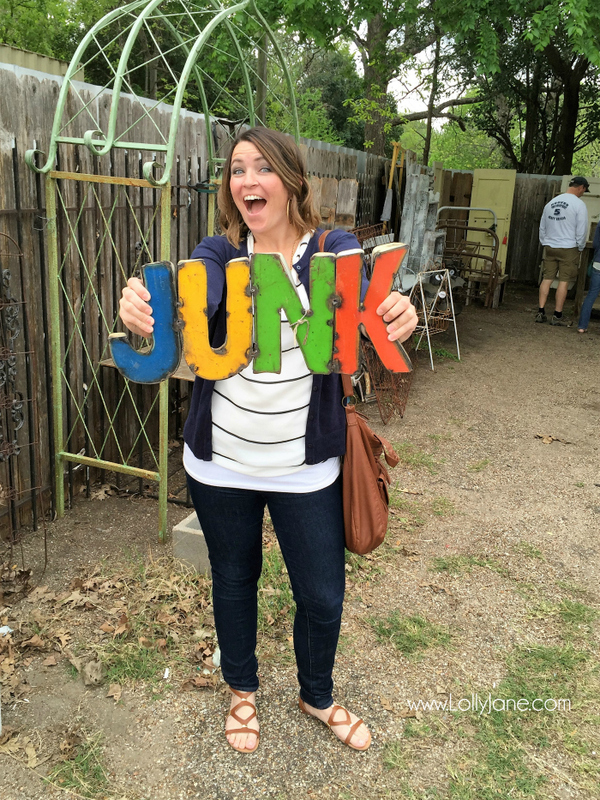 I highly recommend making J in the T a priority when visiting Waco. 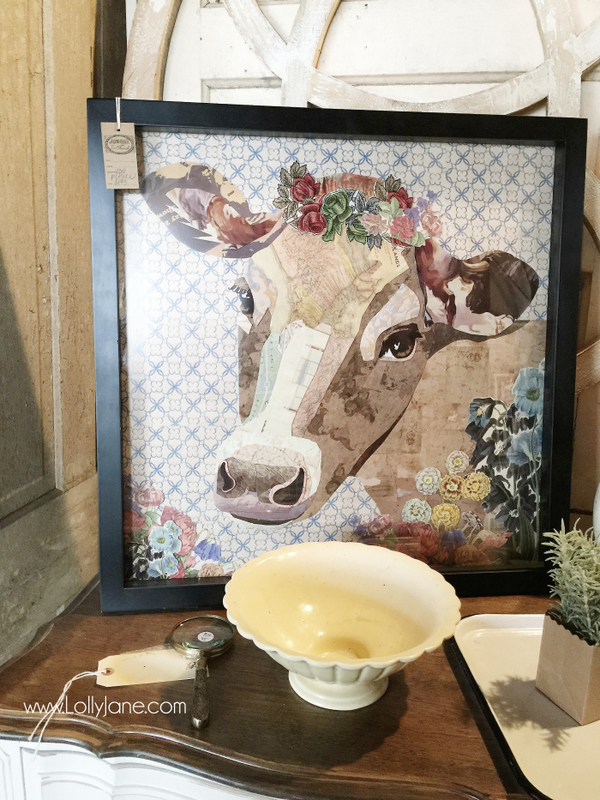 LOTS of pretty decor, both vintage and new. They do carry some of the same goods as Mag Market but cheaper, heads up. 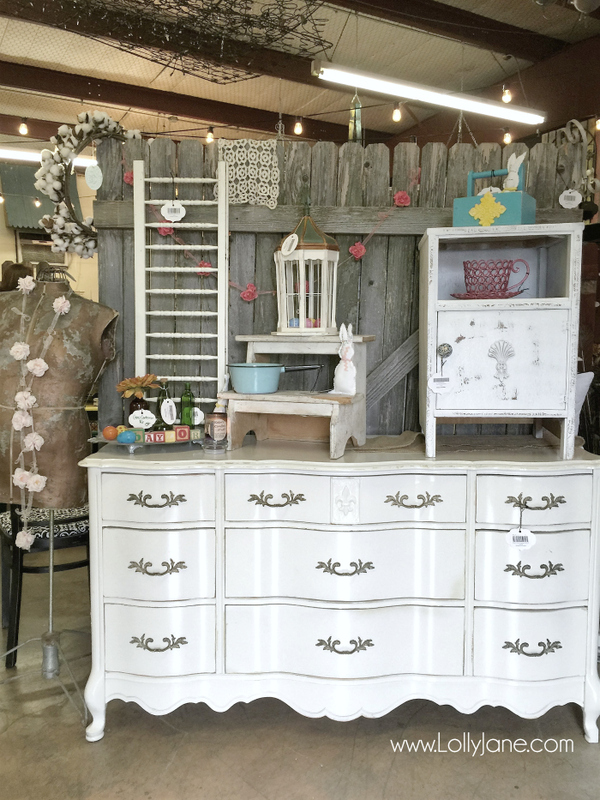 Next up is Shades of Shabby. I Facebook-messaged the owner of S of S beforehand to get the scoop and the owner was so pleasant to us. 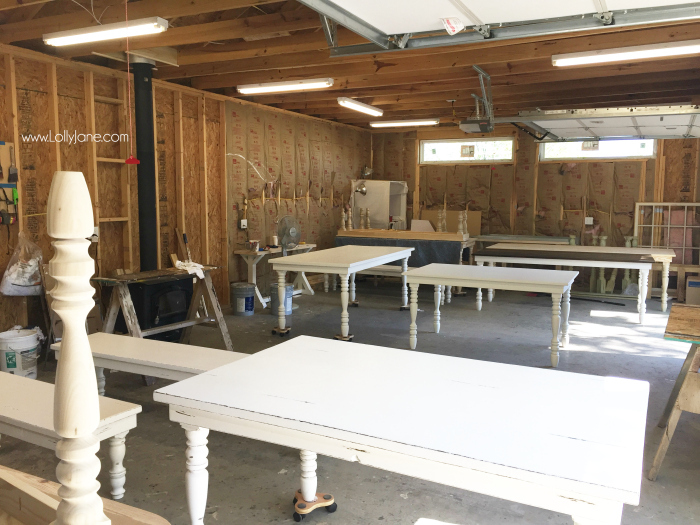 She and her husband live an hour away and paint their own furniture and furnish the store with many of their own labor intensive goods. Impressive. 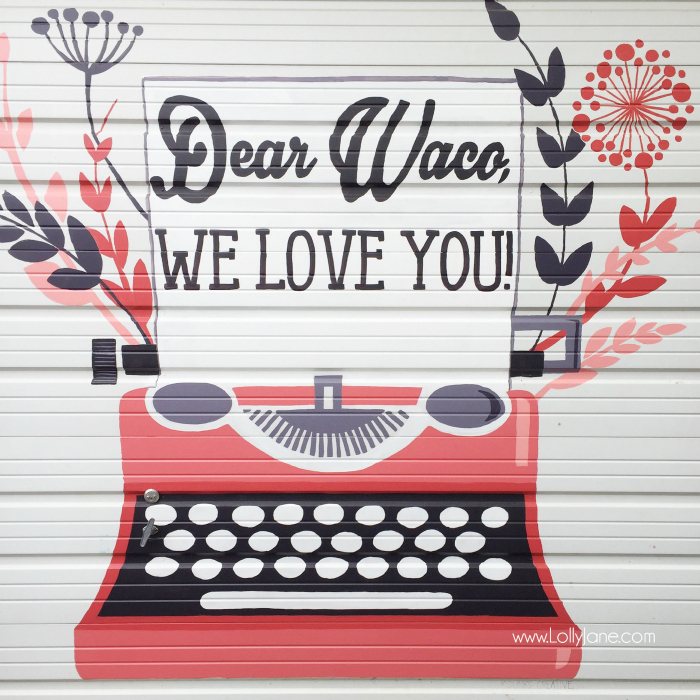 When you first arrive, you’ve got to head around the side of the store for the popular mural, Dear Waco, WE LOVE YOU painted on a garage door! So cute right?? 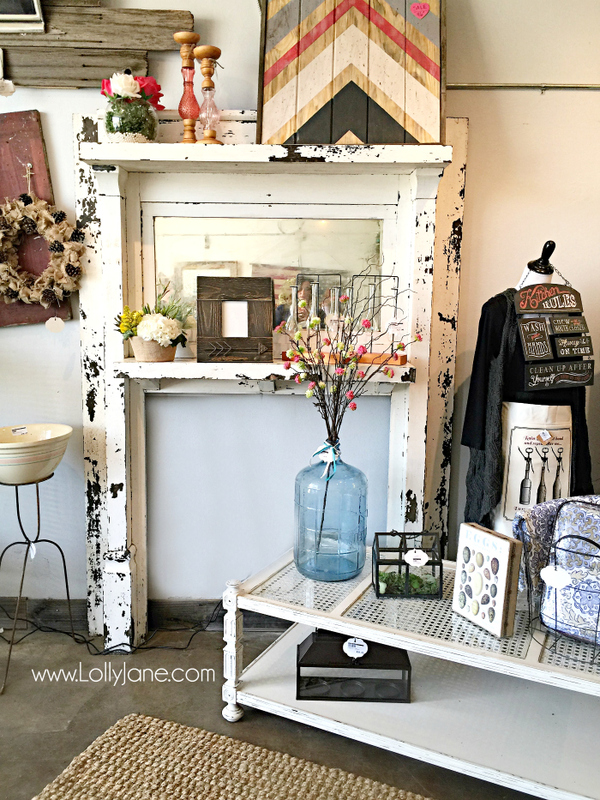 Inside, you’ll find old mixed with new. 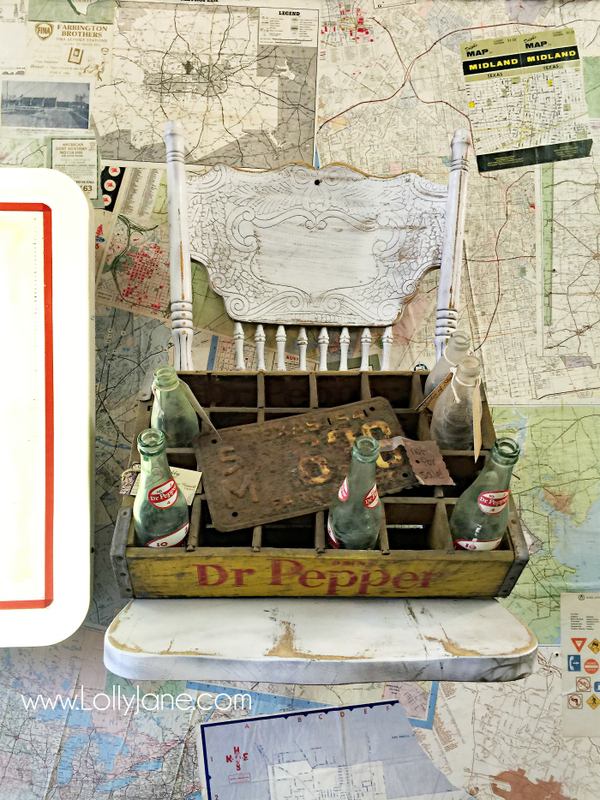 They offer every shopper an ice cold Dr. Pepper in a cooler by the front door. Being a diet soda drinker myself, I let myself splurge since I prefer DP but don’t allow myself the calories on a daily basis. Mmm. 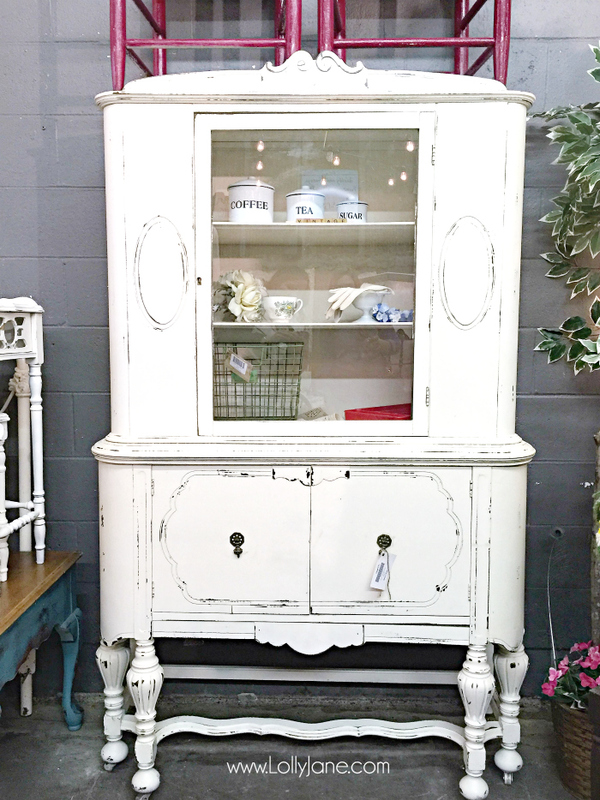 I can’t recall the name of this thrift store that this mantel belongs to but whoooooo-weeeee, isn’t it gorgeous?? We had so many yummy things swimming in our bellies the whole weekend. My personal favorite was Torchy’s Tacos and I’m still dreaming about their trashy style tacos. PLEASE open one in Arizona!! Lick Honest Ice Cream was hands down the best ice cream I’ve had, ever. They have some funky sounding flavors but man alive, they were truly amazing. All of the milk and cream used to make their ice creams comes from a local, family-owned dairy in Central Texas; and everything—from the sauces, syrups, cakes and marshmallows— is made by hand in their kitchen. YUM. 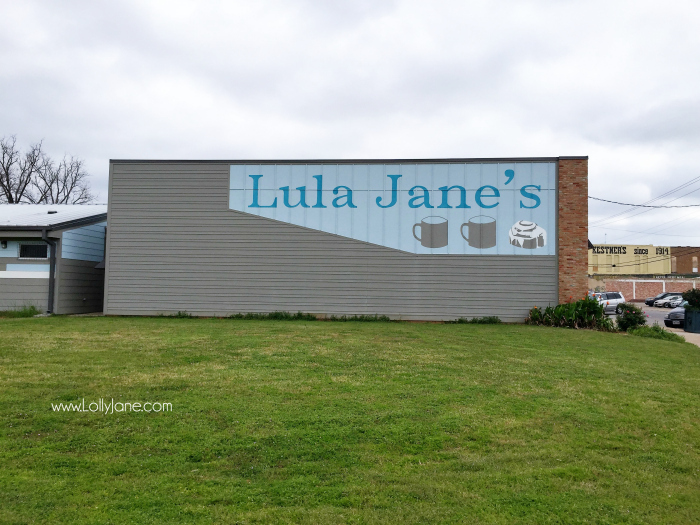 Lula Jane’s came highly recommended by Kelly Harp in person and is also on Clint’s favorite places to eat in Waco list, so we hit it up for breakfast Saturday morning. You’re sure to see the owner, Nancy, working the counter in her overalls. She runs a tight ship and makes a mean cookie. Her cakes were my favorite! 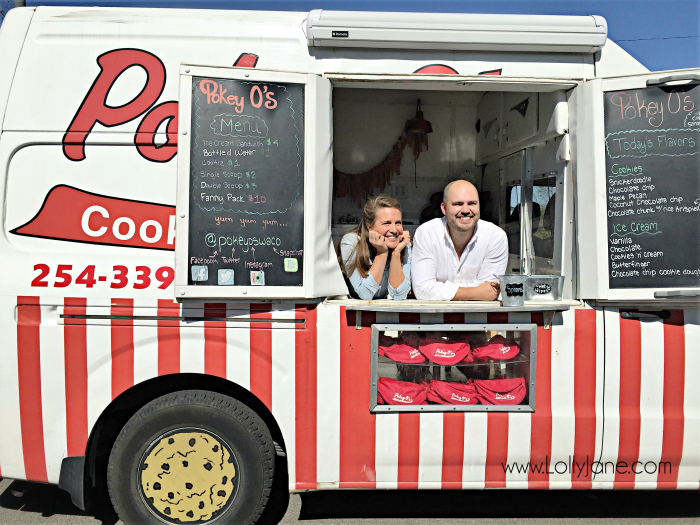 The owners of Pokey O’s Ice Cream truck are two gems. 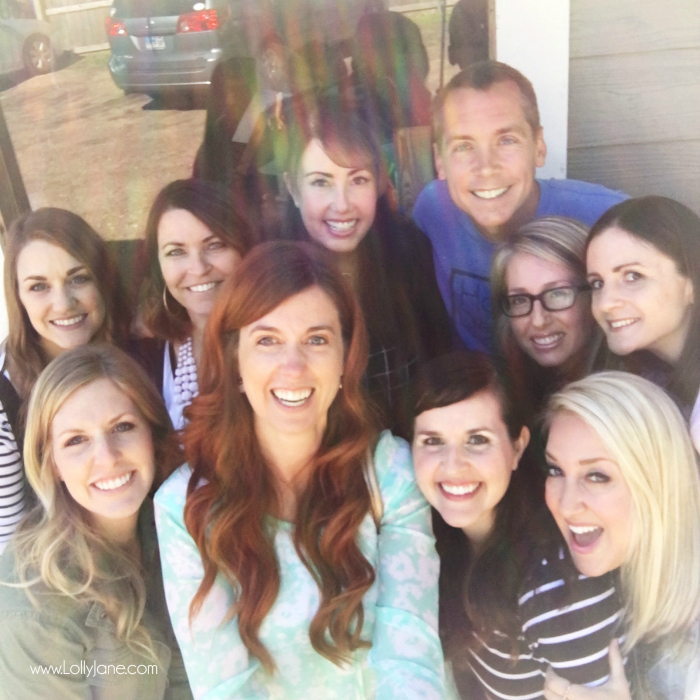 They are a happily married couple who share a passion for entrepreneurship and adventure. We are lucky to have spent so much time with them and even participated in a quick news segment on our thoughts about this new food truck! 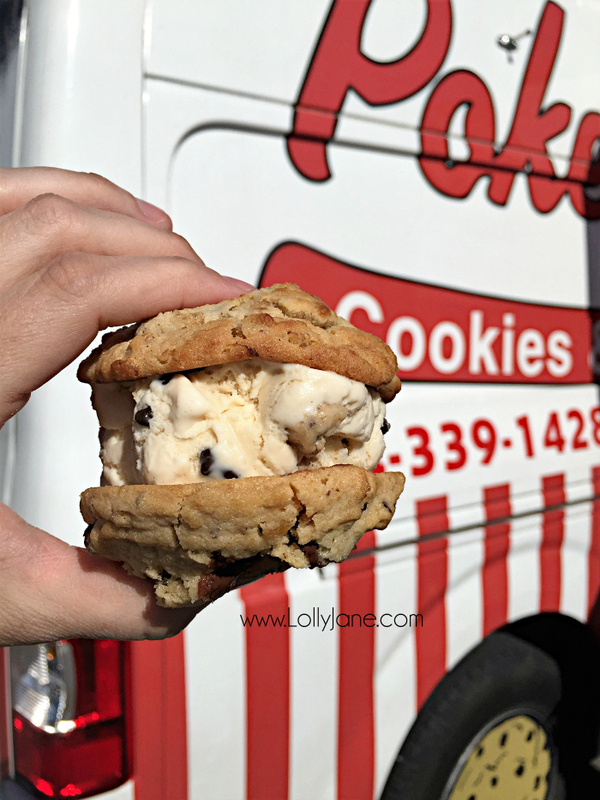 Try their Snickerdoodle cookies with Chocolate Chip Cookies Dough ice cream, mm mm mm. Best of luck to you two! 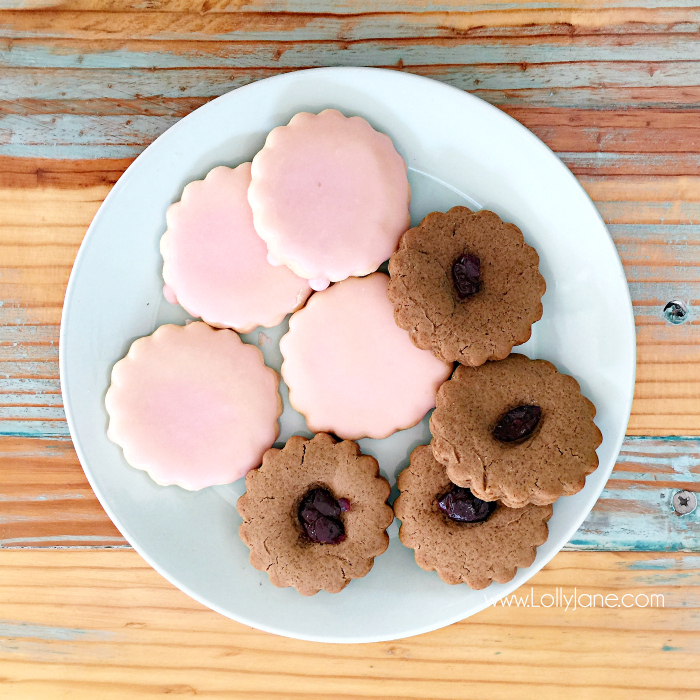 Check out their Instagram feed for lots of yummy pics too. 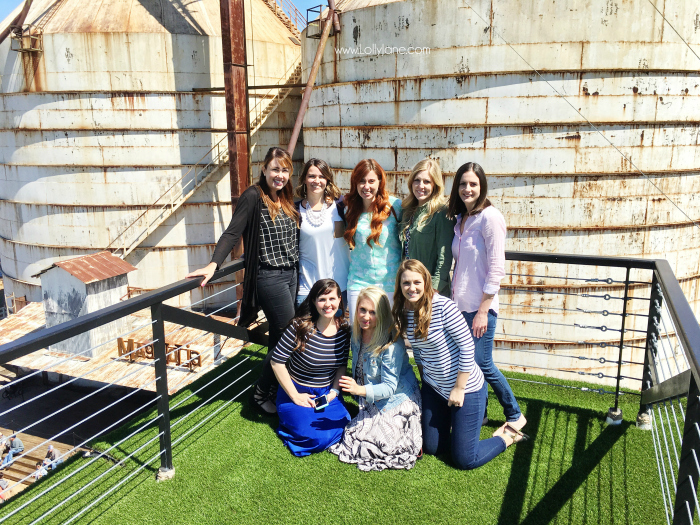 Read about Jen’s, Kristen D’s, Maria’s, Sarah’s and Kristen H’s thoughts too! Final thoughts? MAGICAL. The whole trip was just so dang fun. 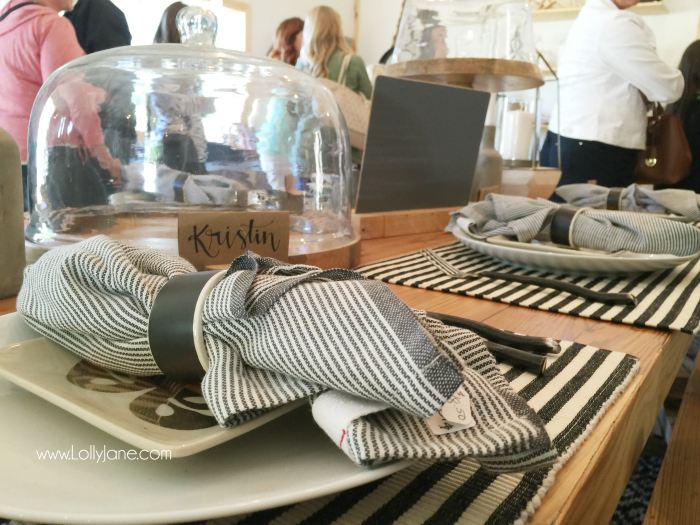 I highly recommended going if you’re a loyal Fixer Upper/Gaines fan. 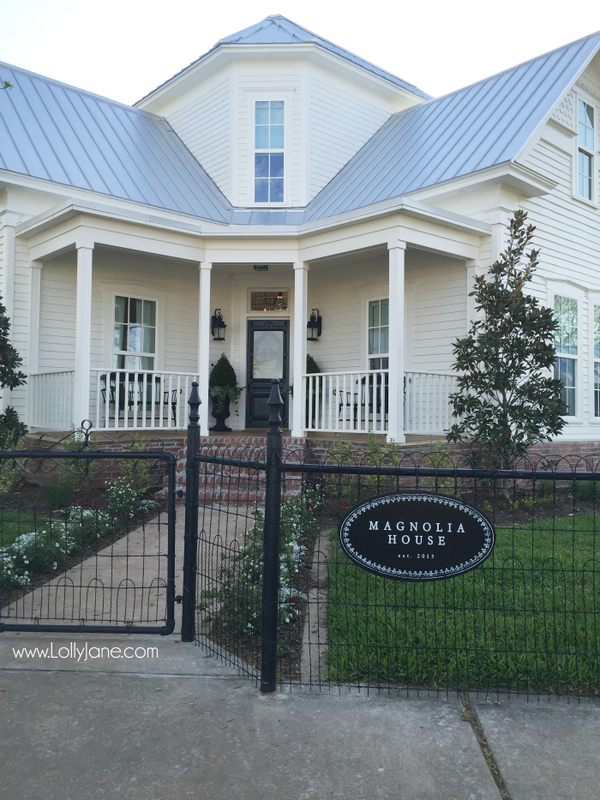 What was your favorite part about our Magnolia House tour Waco trip insider tips?? You are incredible lucky! So jealous! 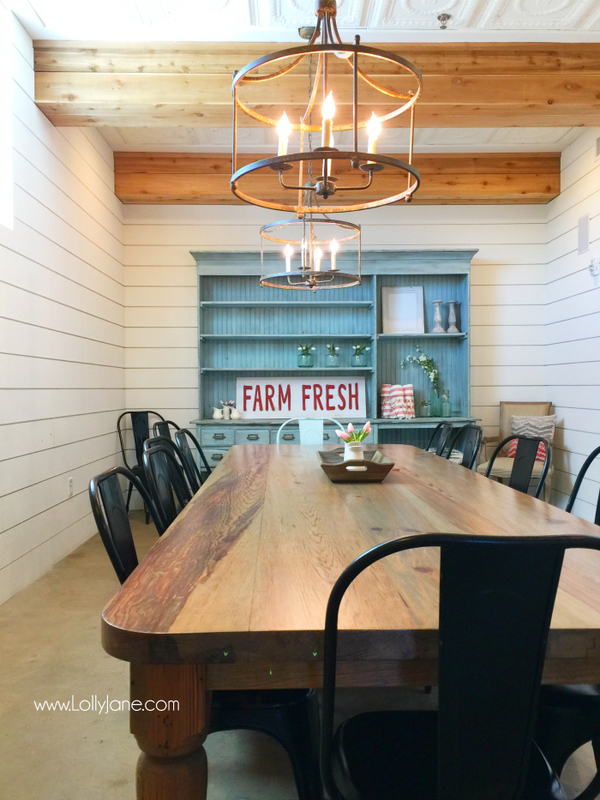 I love all things Fixxer Upper! It looks like you got to see them all. Fantastic! SO fun! It all looks like an absolute dream!!! 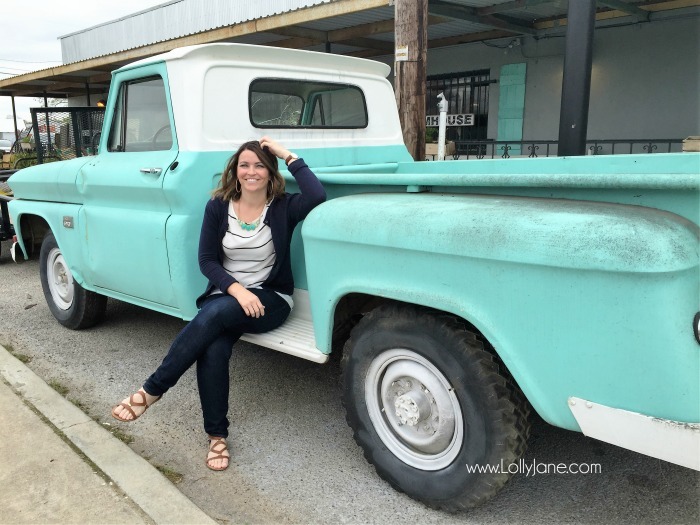 I stumbled across your blog and this post in particular right when my mom and I are getting ready to head to Waco this week! Perfect timing! Thank you for all of your advice and recommendations! I’m soooo excited!!! Small world! You and your mom will have a BALL!! 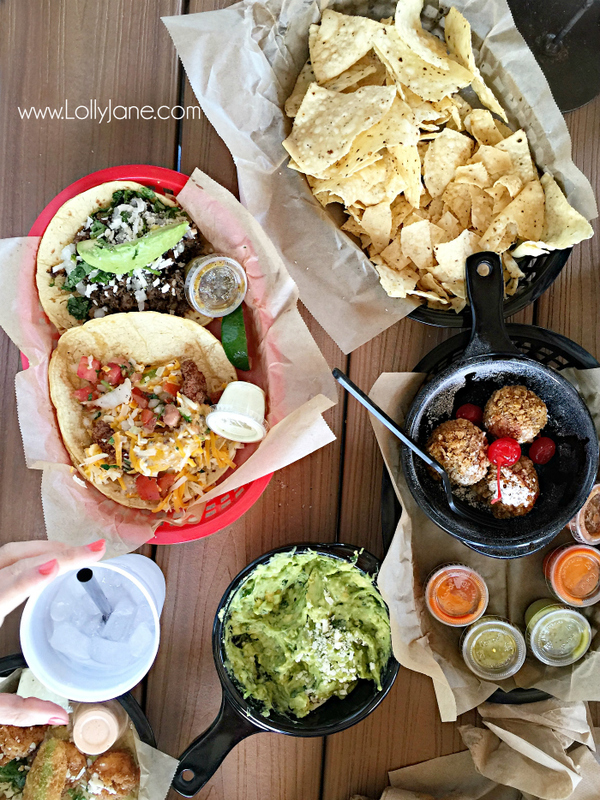 You have to try Torchy’s, it’s only 5 mins from the Silos. It’s “Tex Mex” tacos but seriously, the trashy style one is soooo good. My fav was the fried chicken with avocado, apparently it’s a popular one and my local TX friends made me try it, so good. You need to hit up Junque in the Trunk too! 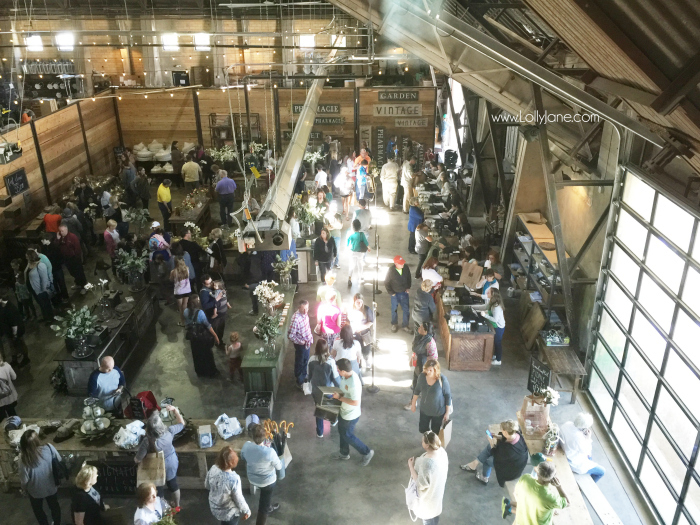 We were a little disappointed with all the imported goods for Magnolia Market but it’s still such a fun vibe being there at all! 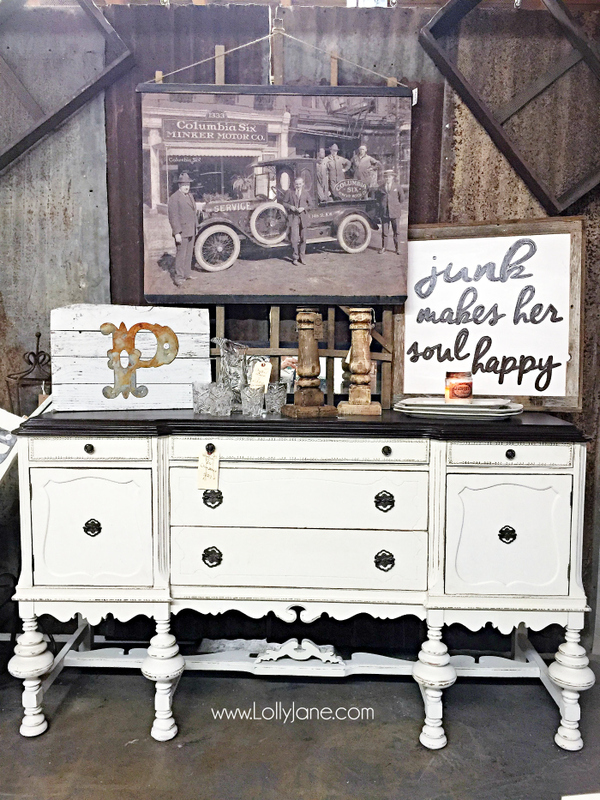 The back room is full of clearance items so be sure to go back there too!! Thank you! I already have both Junque in the Trunk and Torchy’s on my list from my own research (like you cute girls did)….I’ll be stopping by both now that you recommend them. I’ll definitely check out the clearance area. Should I go by Clint’s store? 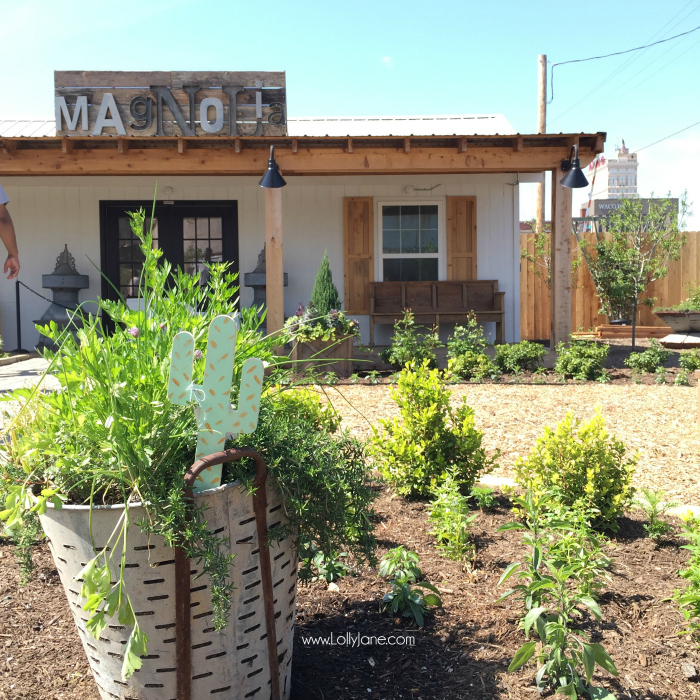 I’m even doing a Project Life Hide & Seek for Becky Higgins at Magnolia. 🙂 Sooo excited!! For sure go by Clint’s! He and Kelly are SO SWEET!! If you catch them, they’re happy to meet you!! And how about Project Life!-it’ll turn out great!! Thanks so much for taking the time to type all of this out! I know it took forever! I loved seeing an up close and personal tour! Pinning it to save for later! Glad you had good luck at Spice!! I did love hiding the goods too, so fun!! And bummer about the under-whelmingness for sure! !